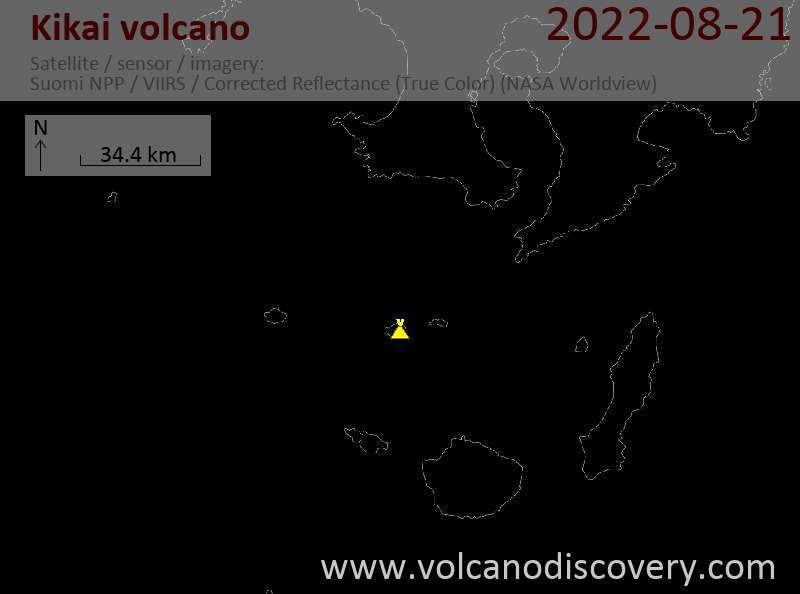 New activity seems to have started from Satsuma-Iwo-jima (Kikai) volcano. A steam / gas and possibly ash-containing plume has been observed on satellite images and a thermal anomaly was visible on recent MODIS satellite data. 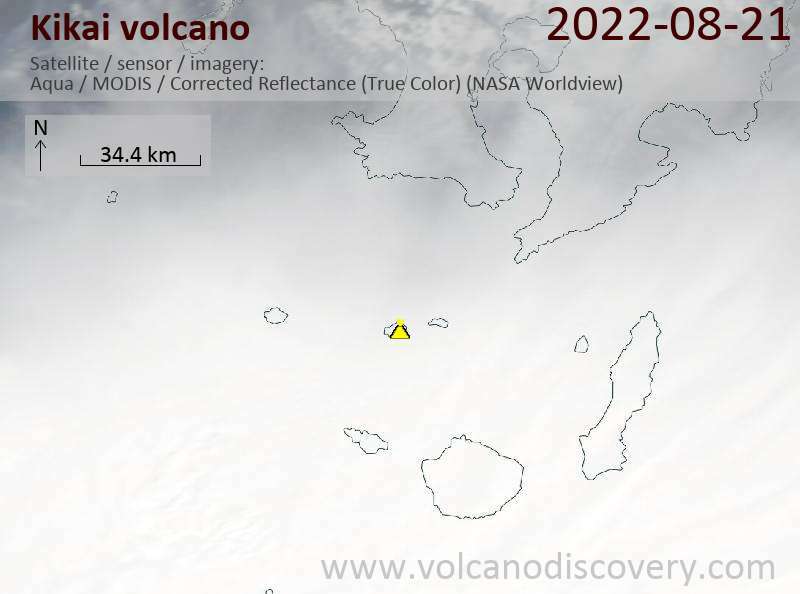 On yesterday morning's NASA Aqua satellite image, the plume from the volcano was about 70 km long to the SW. A thermal anomaly was visible already on images from 23 May. Kikai south of Kyushu island it is the northernmost of the volcanic Ryukyu island chain that stretches between Japan and Taiwan.